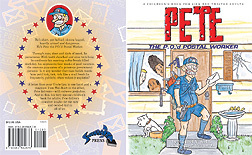 Pete is a tense little postal worker, totally dedicated to his chosen profession. But he's a little too wound up and packs accessories in his mail bag that are not conducive to peaceful conflict resolution. When Pete 'Goes Postal' he's like Forrest Gump on crack. 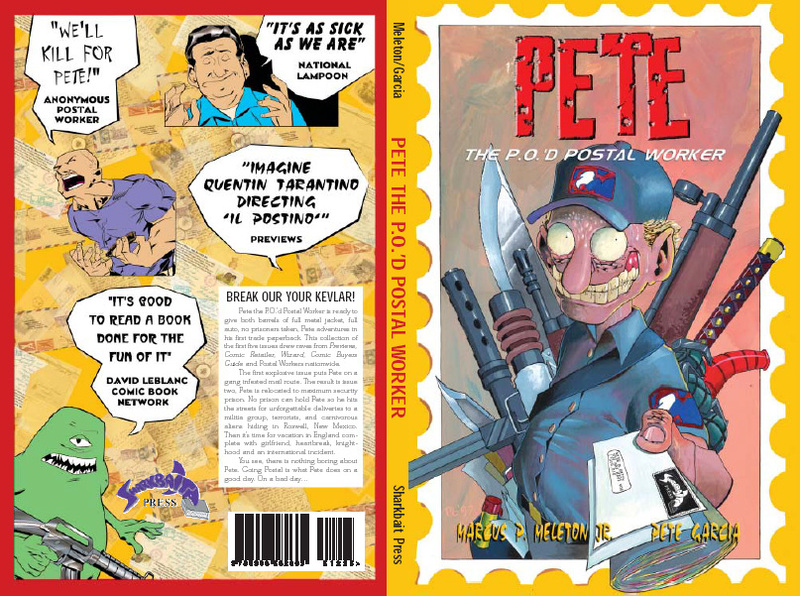 The problem is that Pete falls into situations with bad people who try to obstruct mail delivery. They make him angry, VERY ANGRY. That's when he becomes an unintended angel of death for bad guys. Don't make Pete angry. Not rain, nor sleet, not dark of night, not volatile co-workers, nor frisky pit bulls or hail of lead will keep Pete from his appointed rounds. Pete delivers. He always delivers. Come along with Pete on his appointed rounds! Click any cover to see a larger version and a plot summary. by any means, without written permission from Sharkbait Press. experienced with this site to the Webmaster.